Sending various items overseas to friends and family is something that the majority of us will do from time to time, but the thing is that not everyone is going to send small parcels. Therefore, if you’re someone who would like to send bigger parcels to your friends overseas and you want to have the peace of mind they’re going to arrive on time and the shipping costs won’t break the bank, then you definitely need to look for a reliable, experienced and affordable shipping service. With that in mind, here are some of the main reasons why you need to use an air freight shipping service. The biggest pro of using an air freight shipping service is that no matter what you would like to ship and when you want it to arrive at the destination of your choice, all you need to do is choose the right shipping service and you can easily send your item overseas. Also, the more items you’re going to send, the cheaper it’s going to be, so make sure that you take full advantage if the flat rate box discounts that usually apply. 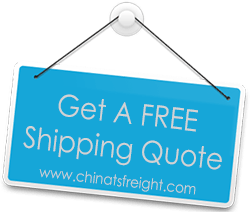 A lot of us want to know at any given time where our package is and that is something that you can certainly do when you are using an air freight shipping service. Since the service gives you a tracking number, you can easily track your package online and see where it is and how long it’s going to be until it’s shipped to the destination of your choice. Last but not least, speed is the number one advantage of using an air freight shipping service. No matter what you’d like to ship, you can have the peace of mind that once it’s on the plane, it can be delivered even in less than 24h, depending on the destination. Sure, this is generally going to come at an extra cost, but hey, if time is at the essence, then you can rely on an air freight shipping service to get your packages delivered anywhere in the world within a specific amount of time. With that being said, using air freight shipping services is one of the best ways making sure your packages are shipped fast and always reach their destination on time. Just make sure you do some research to find a reliable service in your area that also charges good fees and you’re set.